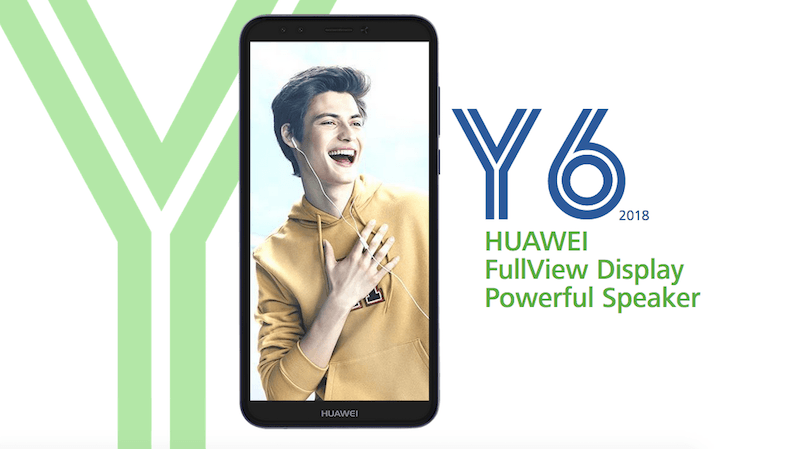 Huawei has expanded its product portfolio by adding the Huawei Y6 (2018) to the list. The Y6 (2018) which may not launch in the Indian market anytime soon will be heading to the Philippines and Russian markets in the next few weeks. The device is now listed on the company’s official website, hinting at an imminent launch. And as usual, the listing doesn’t have any pricing mentioned, but the device will retail for under $200, considering Huawei’s aggressive pricing strategy. The specifications of the smartphone are nothing special, and they’re in-line with the Honor 7C smartphone, which was launched in the Chinese market at the start of March 2018. This launch from Huawei comes right after the Huawei Y7 Prime 2018 launch. The Huawei Y6 (2018) flaunts a 5.7-inch display, and it has the trendy 18:9 aspect ratio. Internally, the smartphone is powered by the Qualcomm Snapdragon 450 SoC, which is coupled with 2GB of RAM and 16GB of internal storage. As you might be aware of, the Snapdragon 450 SoC is built on the 14nm manufacturing process. Graphics in the device will be taken care by the Adreno 506 GPU. Talking about the design of the smartphone, the Huawei Y6 (2018) offers metal body with the volume rockers and power button located on the right side. The smartphone runs Android 8.0 Oreo-based EMUI 8.0 on top with some AI-based tricks under its sleeve. The phone is backed by a 3000mAh battery, and it, unfortunately, lacks fast charging support. Cameras in the smartphone include a 13MP rear shooter and a 5MP front-facing shooter. It offers Proximity sensor, Ambient light sensor and Gravity sensors, much like other budget smartphones. Connectivity options include 4G LTE, VoLTE, Wi-Fi 802.11 b/g/n, Bluetooth, GPS and a micro USB port for charging and data transfer. The handset measures 7.8mm in thickness and has a weight of 150grams. Huawei has also added some front-facing camera on the device to make it more appealing to the users. Lastly, the Huawei Y6 (2018) will come in three colour options- Black, Gold and Blue and as stated, there are no details on the price of the smartphone.